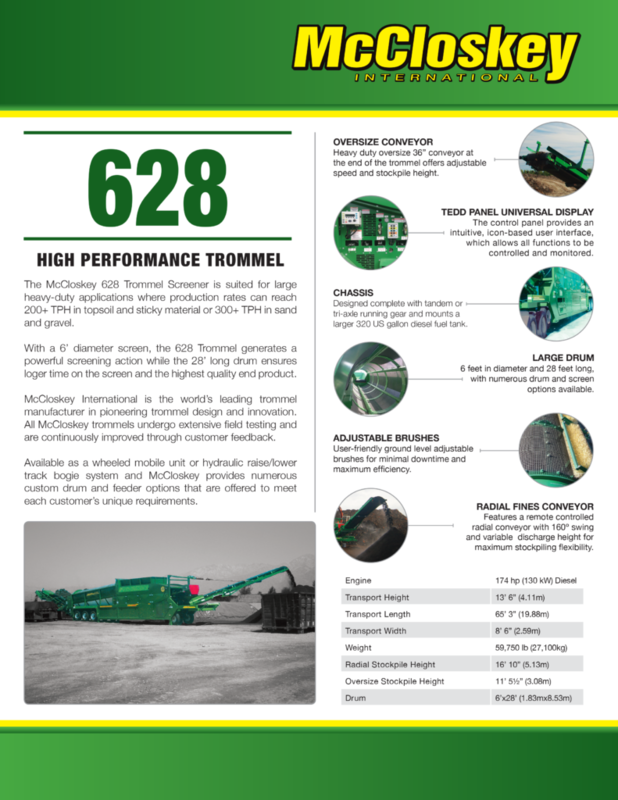 628RE TROMMEL – Bison Iron Corp. 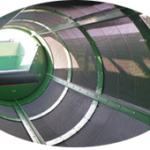 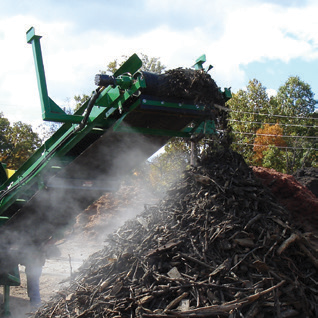 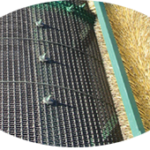 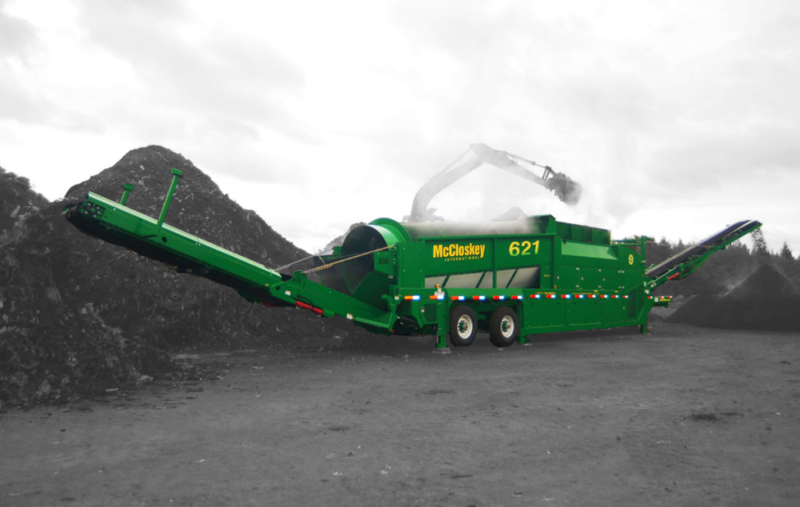 The McCloskey™ 628 with its 6’ diameter and 28’ long drum generates a powerful screening action while ensuring longer time on the screen. 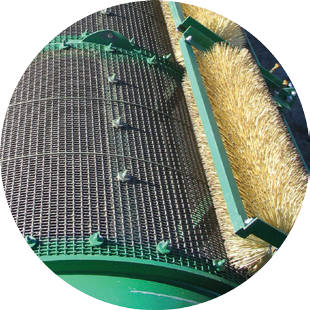 Resulting in the highest quality end product. 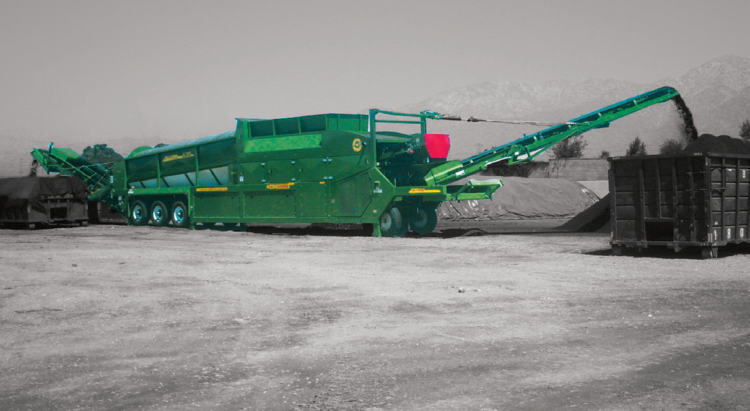 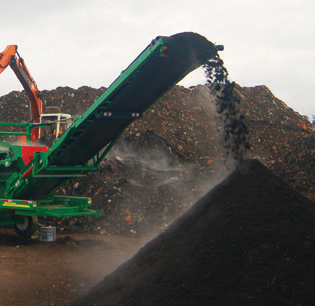 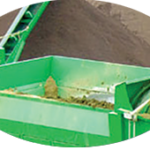 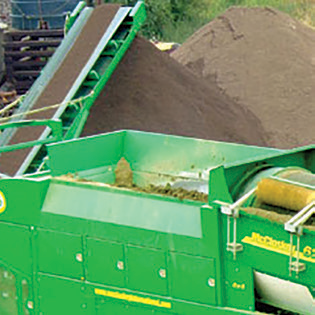 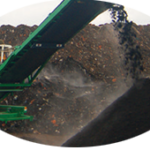 The McCloskey™ 628 Trommel Screener is suited for large heavy-duty applications where production rates can reach 200+ TPH in topsoil and sticky material or 300+ TPH in sand and gravel. 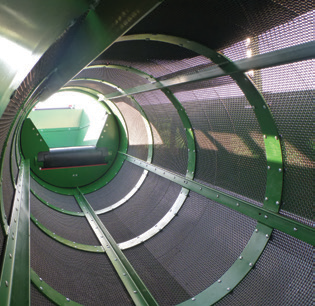 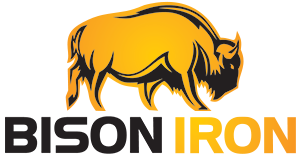 McCloskey™ International is the world’s leading trommel manufacturer in pioneering trommel design and innovation. 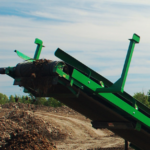 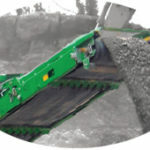 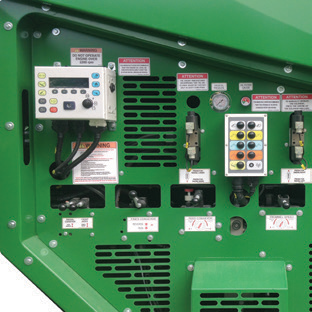 Available as a wheeled mobile unit or hydraulic raise/lower track bogie system and McCloskey™ provides numerous custom drum and feeder options that are offered to meet each customer’s unique requirements.